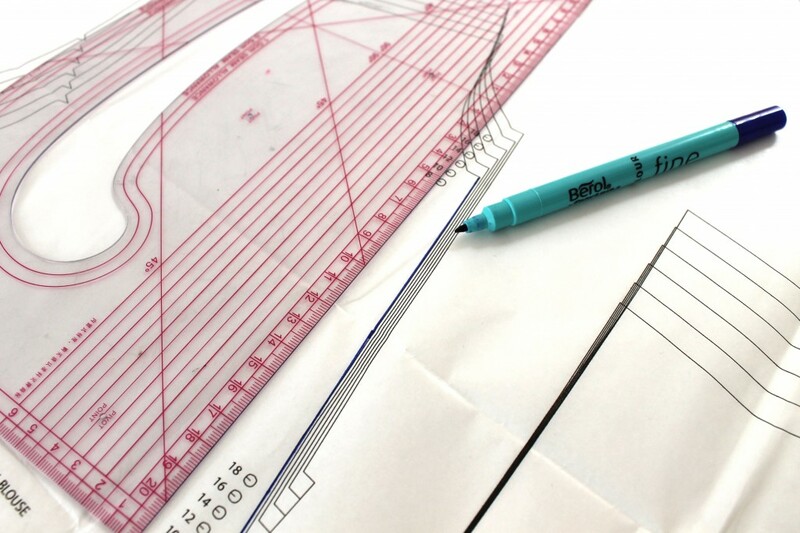 In this post we’re going to show you how to trace sewing patterns! Now, why would you want to trace sewing patterns? (It takes aaaaages doesn’t it??) Well, whereas we’re usually rushing into dressmaking project after project and we just snip straight into the printed pattern *gasp! *, there is a lot to be said for tracing them off. You can use the same pattern to make the garment for somebody else, for example. Or if you lose some weight (or put some on!) it can be useful to have the pattern still intact so you don’t have to go grading it up or down. 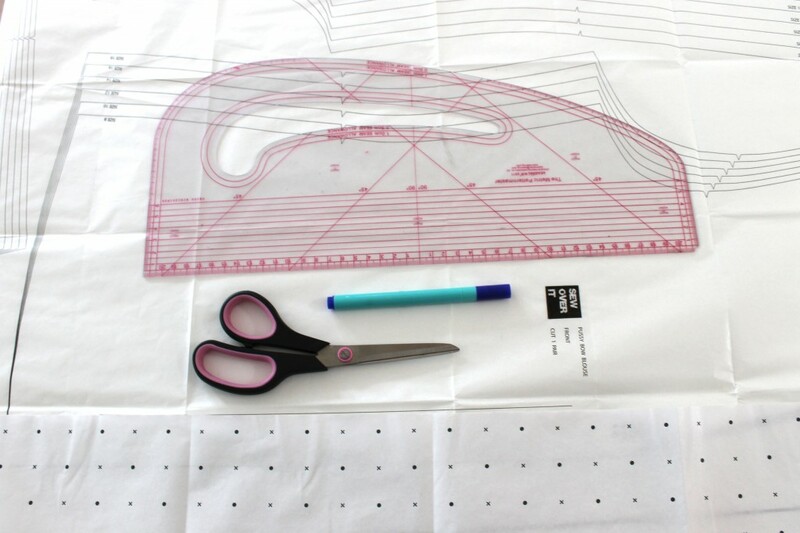 You can use the pattern master/ruler to help you or you can just draw it freehand. Don’t forget to draw around the markings on the inside of the pattern cutting lines – you don’t want to miss a notch or dart! And make sure to include the grainline as well. Time to trace the pattern onto the tracing paper! 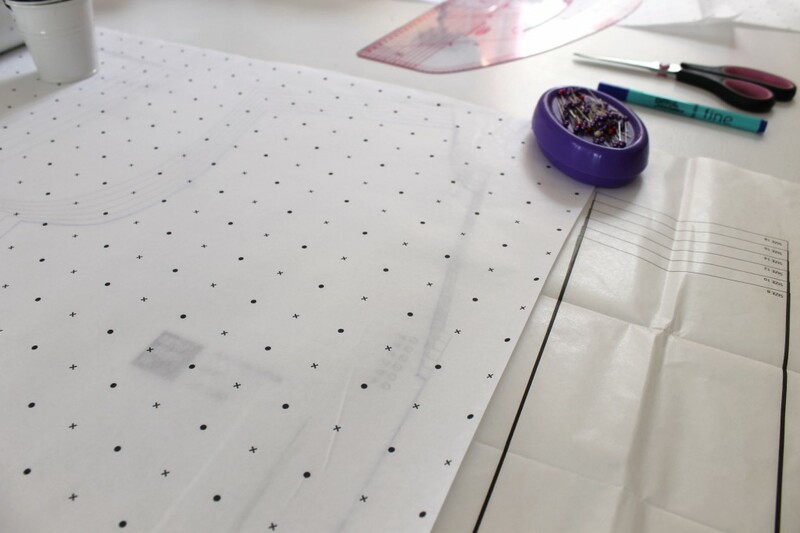 Again, you can either use the pattern master/ruler or draw it out freehand. If you are tracing out different sizes make sure you follow the correct coloured pen for each section you trace! 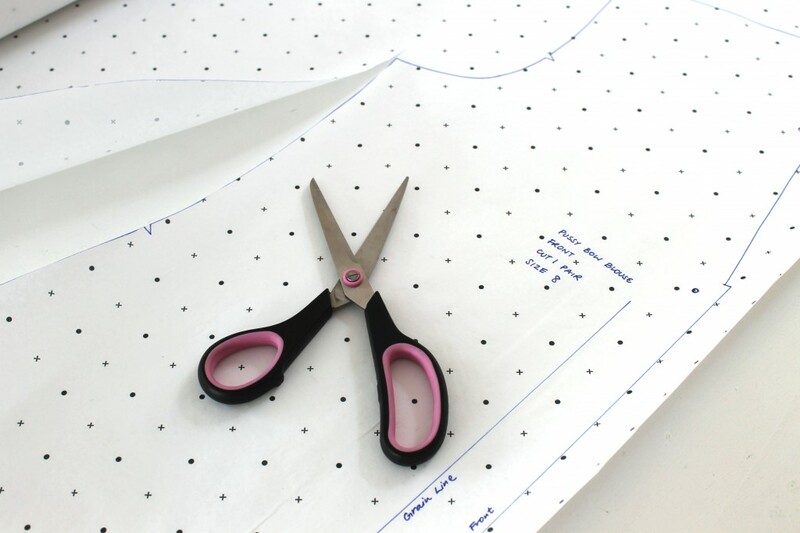 Once you’re happy all the marking have been traced you can then go ahead and cut out your pattern. Ta-da! You now have a duplicate copy of the pattern ready for use! Time to grab your fabric and get sewing! 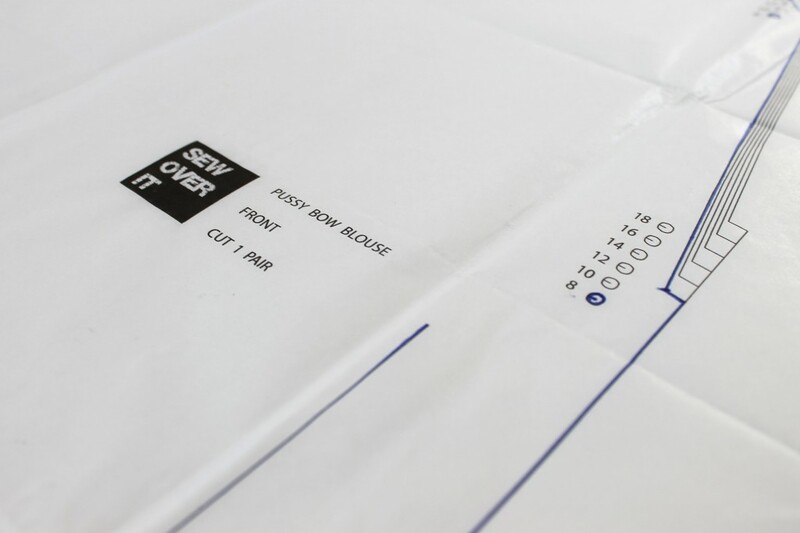 I have just bought my first Sew iOver It dress pattern. I like your idea of making a second pattern on tissue paper in my size. What is not clear is this. Is the seam allowance already included in the sizing or should I add 5/8 inch to the dress size? Hi Christine! Yep the seam allowance is already included, and it is 1.5cm. There is no need to add it. Hope that helps!